Why do you like wolves? What have you done to help wolves? 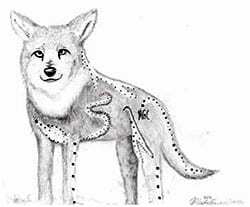 Tell us your story or send us a picture of a wolf you have drawn and maybe we will feature you on our website! Accepted file types: jpg, jpeg, gif, png, tiff, eps, pdf. Error: Error validating access token: Session has expired on Friday, 22-Mar-19 12:26:11 PDT. The current time is Sunday, 21-Apr-19 03:50:02 PDT.